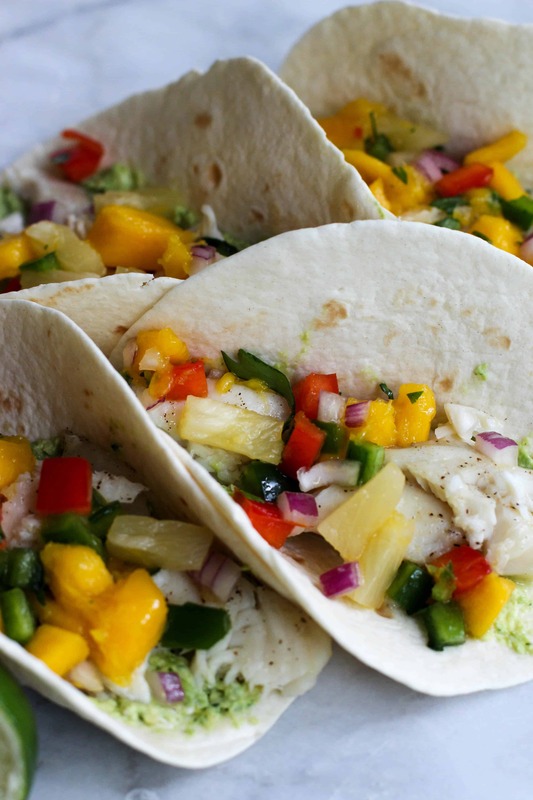 These Fish Tacos with Pineapple Mango Salsa are one of my favorite dishes. It’s light, has a ton of bright flavors, and is super easy to throw together. 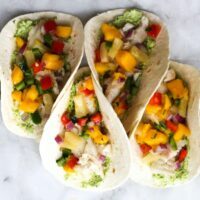 You’ll definitely want to make a double batch of the Pineapple Mango Salsa just to snack on while making the rest of the dish. It’s SO good and goes great with a bag of corn chips. Definitely a recommendation out of prior experience! I’m attached to this recipe for two reasons. If you can get fresh ingredients, I highly recommend it. Mostly looking at you pineapple. I’ve made it with both fresh and canned pineapple and something about the canned will never taste as good. The recipe is super flexible in terms of fruits and veggies that you want to add more of. Big mango fan? Go crazy and double it. Want it extra spicy? Add a few more jalapeños and keep the seeds! 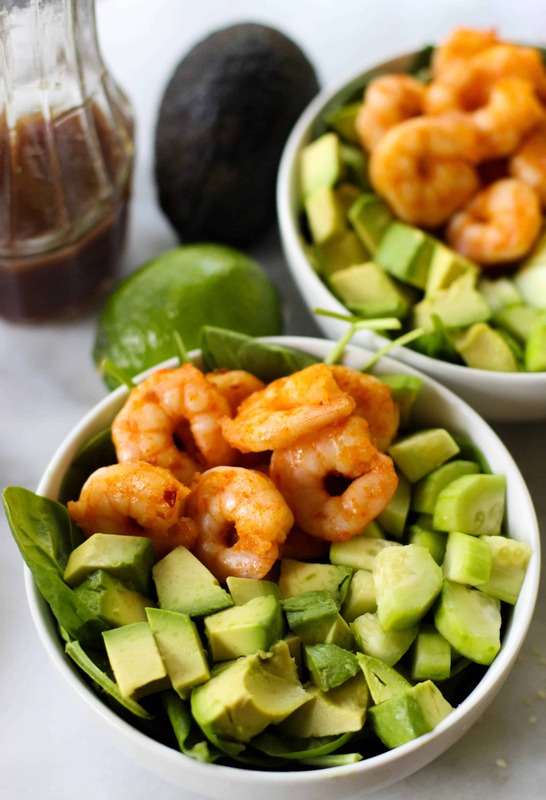 The creaminess of the avocado with the citrus of the lime juice make a great base for the fish too! You can leave the sour cream out if you’re dairy free, you just might need to add a little bit more lime juice. The fish choice is completely up to you. I usually go with tilapia just for the availability. I haven’t tried with salmon or tuna yet, but I’m sure it’d go great! Just thinking about adding some raw tuna and turning it into a ceviche taco is making me super jazzed to try it ASAP. So the next gathering you have, I definitely recommend throwing these together! Why not add a few more toppings to make it a fish taco bar? 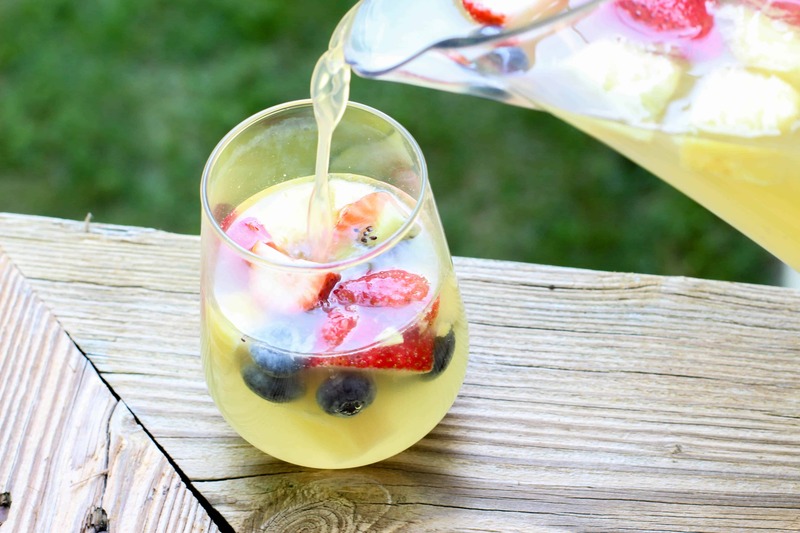 Don’t forget this Summer Sangria to drink with it!! NOTE: Anddd just as a reminder. 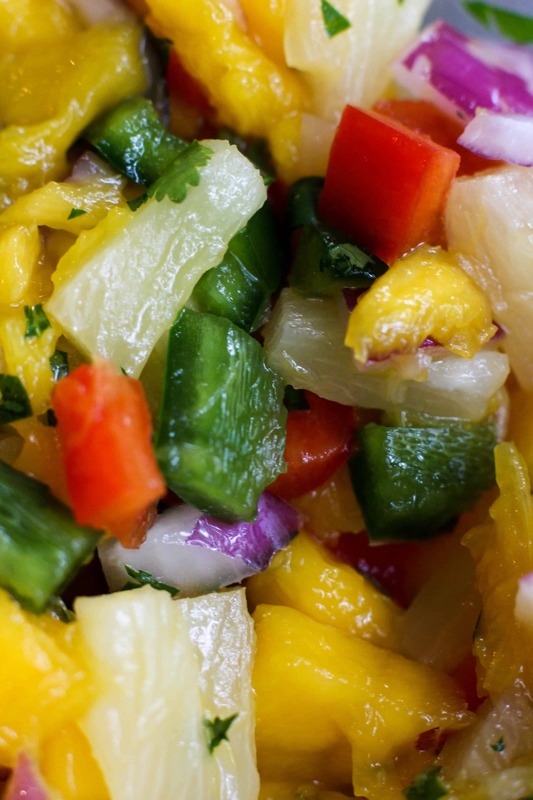 Here’s the link to the Pineapple Mango Salsa recipe. The ingredients aren’t included in the recipe below so include those when you go grocery shopping! These Fish Tacos with Pineapple Mango Salsa are an easy and flavorful dish for the summer! Preheat oven to 375F. Lightly oil a baking sheet and place fish fillets on top. Season with salt, pepper, and a squeeze of lime juice on top of each one. Place in the oven for 10-12 minutes or until flaky. Set aside. 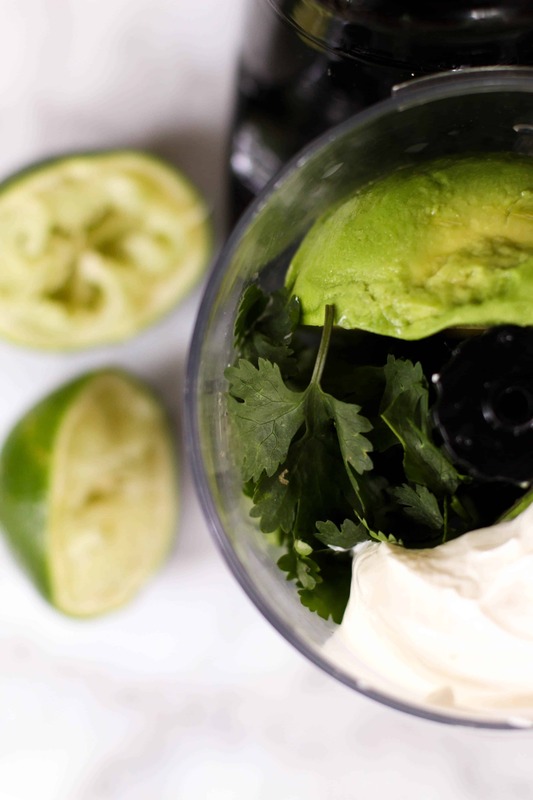 In a food processor, blend avocado, sour cream, lime juice, and cilantro together until well blended. To serve, place some of the avocado lime spread on a tortilla. 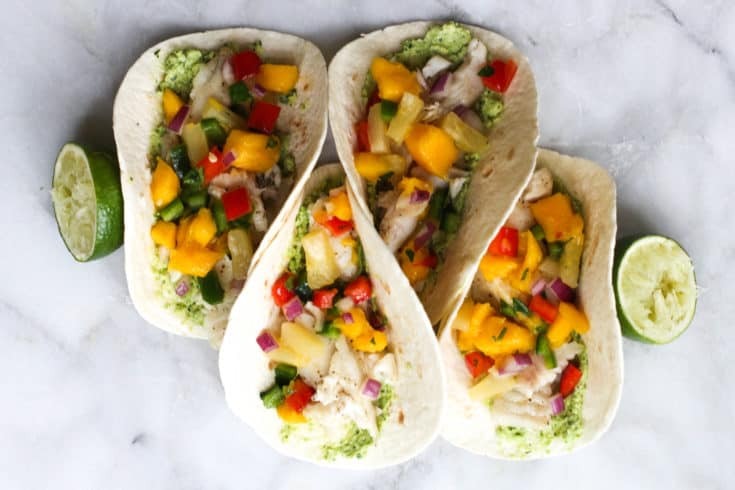 Place half of a fish fillet on the spread, and top with pineapple mango salsa. Enjoy immediately!